I got a fitbit for Christmas, it didn’t arrive until early January, but it was well worth the wait. I absolutely love it, in fact I think it’s one of the best pressies I’ve ever received…high praise indeed. A what I hear you ask? What is it? Why is it so cool? 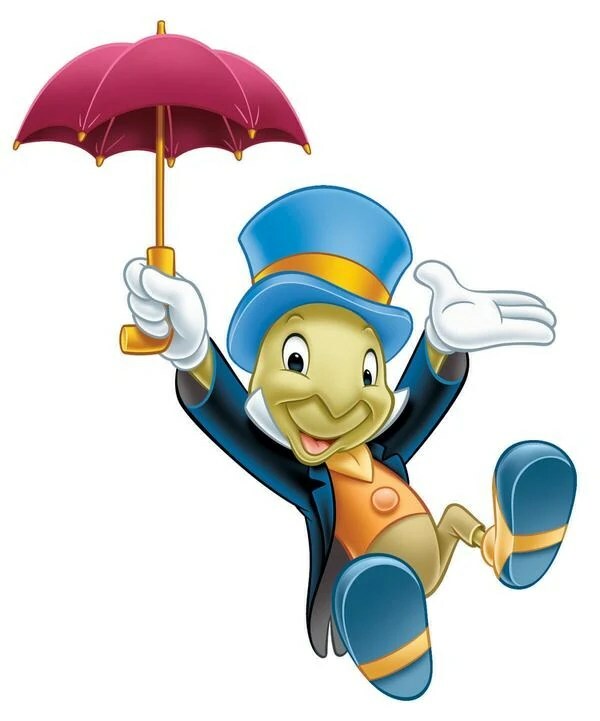 And why does this post start with Jiminy Cricket? Well the fitbit is a fancy pedometer, an activity tracker, my new found conscience and motivator all rolled into one. 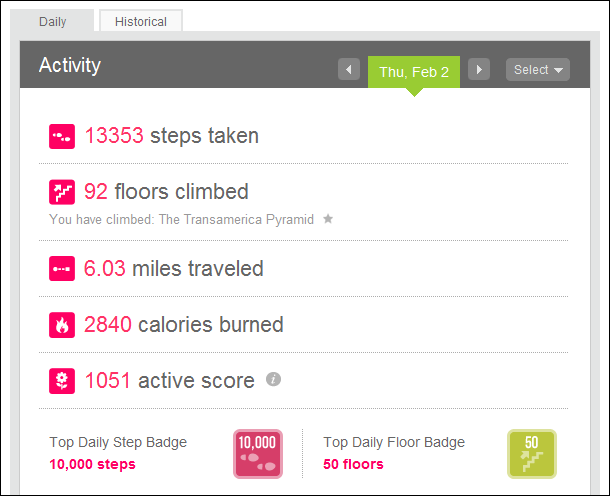 It’s not just a pedometer though, it counts steps and stairs (elevation) climbed, and calories burned. It also allows you to track your food consumption, weight and BMI. The fitbit works in conjunction with the website and an app if you wish to use that. That’s not all though, it allows you to manage your data over time, so you can look back and identify trends. It also allows you to complete a journal, to measure your mood each day, and allergies if you suffer from those too. Even more excitingly, you can wear it on your wrist at night and track your sleep – telling you how long you sleep for, how long it takes you to fall asleep (or to lie still so the fitbit thinks you’re asleep), how often you wake in the night and judging your sleep efficiency. I love this aspect of the fitbit and it’s really helping with my challenge to myself to get more sleep this year. Here was my sleep on one night this weekend – I’m blaming a combination of Mogs and my partying neighbours for the interruptions, but it’s good to see proof. In an attempt to convince you of how wonderful the fitbit data is I’ve included a day from a few weeks ago, when I was on holiday and out walking the Scottish hills. That said it is quite fun to challenge myself on days when I’m at work and less active, to see whether I can increase the flights of stairs I walk up each week (I’ve never been up and down to the photocopier as often as I have this year), or to see how many steps I can take. The other brilliant feature is that you can ‘friend’ people on fitbit and your data is compared on a weekly basis, which supports friendly rivalry. My fitbit was a pressie so I didn’t spend £80 on it – that said I’d spend that tomorrow if I didn’t have one. In fact earlier today I thought I’d lost it (I eventually found it under my car – note to self, make sure it is clipped on properly) and would buy one in an instant. I’m not saying it would work for everyone, but it is definitely working for me. If you’re not sure go talk to the people at @fitbit and see if they can tempt you.